In this issue, we explore 21st-century skills,often called general skills or soft skills. To thrive in today’s workforce, and to play a part in solving the tough challenges facing society, each of us must develop and demonstrate curiosity, creativity, critical thinking, persistence, and teamwork. As science center and related industry professionals, most of us have a general awareness of what soft skills are; some of us are even experts in the literature. Yet our 21st-century skills “toolbox” must expand beyond a traditional definition of soft skills as we seek to deliver positive community impact and help build a resilient society. All staff of science and technology institutions need to develop cultural competency to work and partner with people from all backgrounds. In order to engage with people outside our traditional spheres, we need to understand them, the systems that impact them, and the communities they inhabit. We need to bring caring, empathy, active listening, and people-centered design to our work more than ever. At ASTC, we continue our commitment to championing inclusive, open innovation and problem solving, as well as to highlighting the work of our members and their community partners in harnessing science and technology to solve global challenges locally. Soft skills are valuable—and needed—in every field to solve problems at all levels. What they mean for society is incalculable. If we can help to lay a solid foundation of soft skills for all people—not just a lucky few—then we raise the chance for success for all. The more people value communication, critical thinking, and collaboration as basic competencies, the more they may expect from themselves, their communities, and their leaders. Practicing soft skills within our own institutions, with our colleagues, is a great way to improve our instincts so that we can better foster these skills in others. We need to meet people where they are and engage them in the ways that resonate with their personal experience. Opportunities to develop these skills must be infused throughout science, technology, engineering, and mathematics (STEM) education. Imagine a future educational system in which all students have access to welcoming, hands-on, collaborative experiences, integrated in and out of school, that encourage risk-taking and experimentation, spark creativity, allow for failure, and lead to real breakthroughs for communities. Imagine if each of us—regardless of age, background, ability, or neighborhood—might have access to learn and practice 21st-century skills. Imagine if each of us might see our part in using these skills to solve tough problems and build the future. 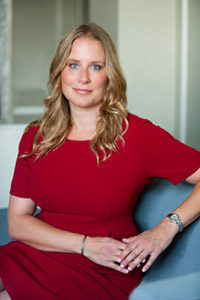 Cristin Dorgelo is ASTC’s President and CEO.